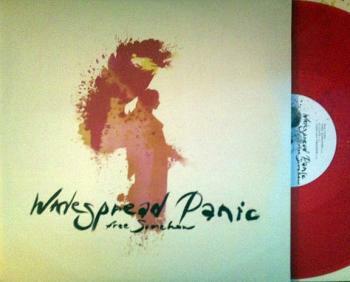 Widespread Panic Limited Edition 2 record set in red colored vinyl! WSP recorded Free Somehow with producer Terry Manning (Led Zep, Lenny Kravitz, ZZ Top, Al Green) at his renowned Compass Point Studios. Dave Schools hears a bit a Zep in what the band has laid down, commenting "Some of the songs really strike me as something you might have heard on Physical Graffiti. They're complex, beautiful, deep, and it rocks. And it's got some melancholy and a lot of color." There's also something much bigger going on in the world of WSP, and his name is Jimmy Herring. He brings a fresh dynamic to the band and they are all feeling it!